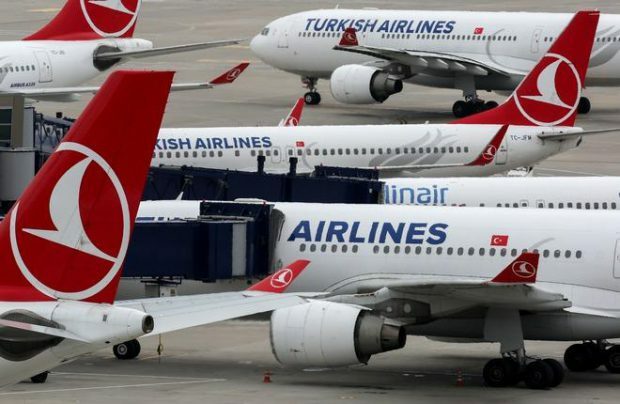 Turkish Airlines has confirmed plans to carry up to 1.5 million passengers to Moscow this year. Head of the carrier’s Russian office Mefail Deribash shared the forecast with the audience of this year’s Wings of the Future forum in Moscow. The airline has already carried 1 million passengers on flights to and from the Russian capital since the beginning of this year. Total traffic on all the Turkish Airlines routes to Russia is expected to stand at 2 million in 2017, Deribash said. The operator’s seat load factor on Russian-bound flights stands at 80-90%, with the share of transfer passengers reaching 40%. Turkish Airlines flies to Moscow’s Vnukovo. The carrier accounts for 10% of the airport’s total traffic, making it one of Vnukovo’s largest international customers. Antalya and Istanbul were named among the most popular international destinations from Vnukovo in September this year. Turkish Airlines has been reporting a steady traffic growth on Russian routes. From 60,000 passengers in 2008, it surged to 1.25 million by the end of 2015. More than one half of these passengers traveled to and from Moscow, with seat load factor exceeding 80%. In the summer season, the airline operated four daily flights to Istanbul and 11 flights per day to Antalya from Vnukovo, all of them scheduled. There were also three flights per week to Ankara. Turkey is a popular holiday destination for Russian travelers. The Moscow – Ankara route came 17th last year by traffic last year, even despite the fact that air services between the two countries were only restored in 2016 after a period of suspended operations. Before the services were suspended in late 2015, Turkish leisure destinations had made the top of Russian air travelers’ holiday choices for several years in a row.